Graduation Banners Ohio High Schools & More! I think you'll agree that your child's graduation is the biggest accomplishment of their young life. I know you want to celebrate this milestone in perfect style, while not breaking the bank. It's easy, quick and very affordable to show your pride in a big way on your own custom graduation banner. We offer banner sizes of 2x4, 2x6 and 3x6 (feet) and multiple price points to suit your budget requirements. 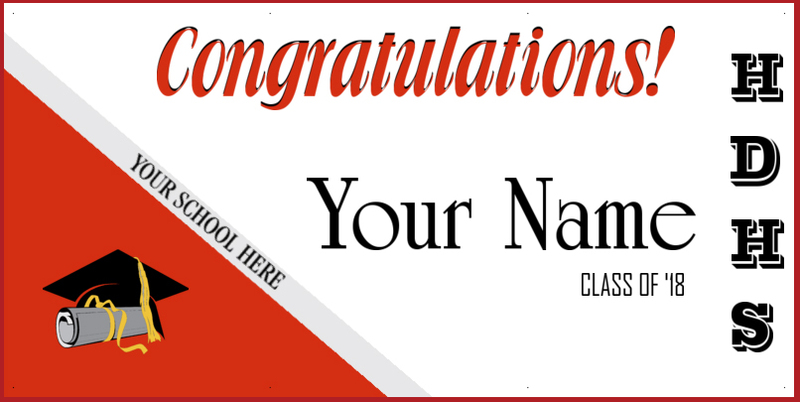 Get your Ohio graduation banner customized today! 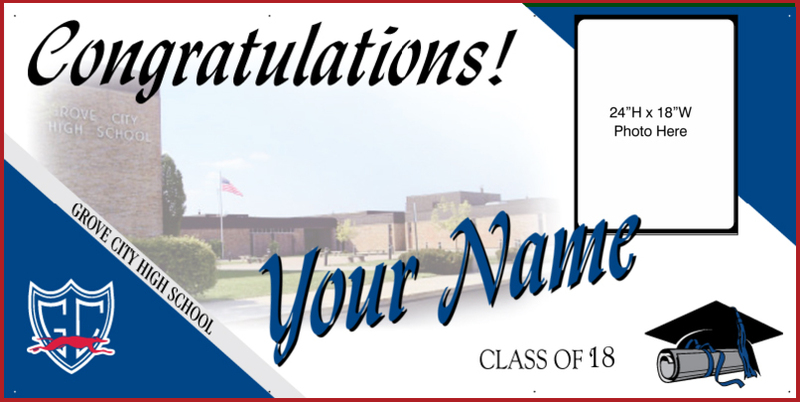 Personalize your child's Graduation Banner online using one of our Central Ohio High School sign design templates or a custom design. Printed signs for your child's graduation are a memorable tribute to acknowledge such an important occasion in your child's life. 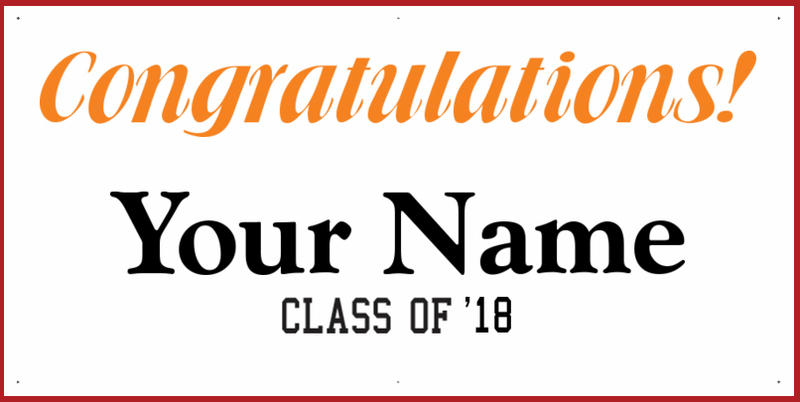 Decorate their graduation ceremony or after-graduation party with a custom vinyl banner and have it autographed by friends and family as a lifelong keepsake and momento of attendees at their event. Our banners can be designed online in your browser window using easy-to-use design tools. 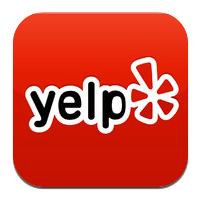 Design, proof, and order online via our secure, encrypted checkout (PayPal: the trusted name in online payments). 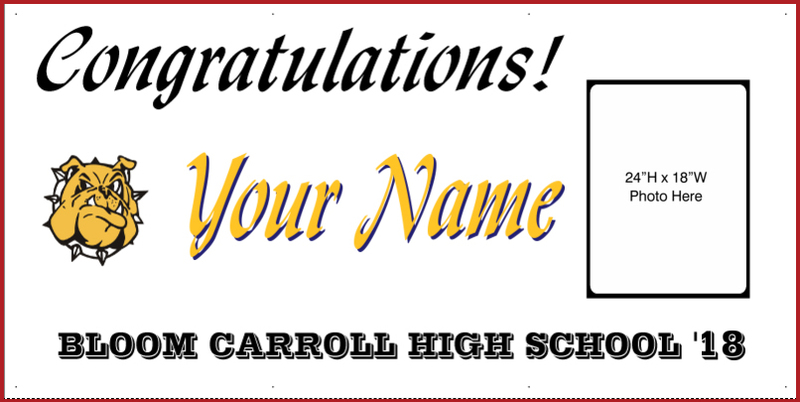 We offer templates for graduation banners in Grove City, Hilliard, Dublin, Canal Winchester, Gahanna, Marion, Millersport, Pickerington, West Jefferson, Worthington, Bexley and many, many others as well as custom graduation banners that can be personalized for any High School.